Presenting this townhouse situated in the heart of Benijofar. 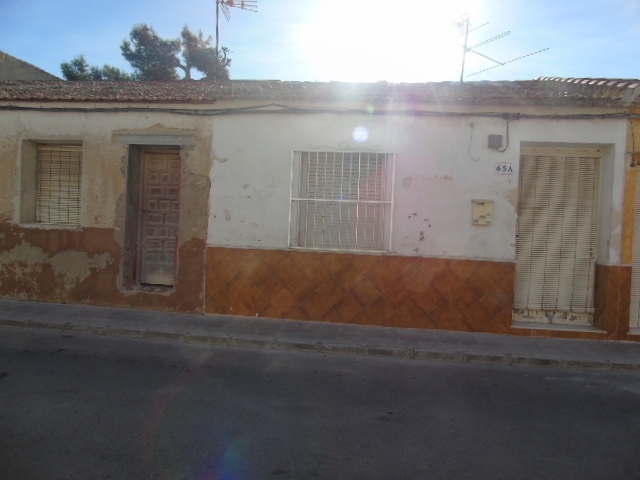 The property is spread out over 75sqm and has been built on a plot of 130sqm. It composes of 2 bedrooms and one bathroom, kitchen and private outside patio. The property is in need of restoration but offers an excellent opportunity of building your dream home in the highly sought after village of Benijofar. Benijiofar is one of the villages that makes up the Vega Baja area on the Costa Blanca. Benijofar is a Spanish village full of character and charm, the blue village church lights up the main street of Benijofar, which throughout the year witnesses many festivals taking place. Benijofar boasts a range of services and amenities including taps bars and restaurants, a supermarkets, medical centre as-well as a local school, municipal pool and great sport facilities for all ages, along with good transport links.